When Korean carmaker SsangYong re-entered the Irish market two years ago it did so with the Korando. Last year it was by far its biggest seller and no doubt it has even higher hopes for the facelifted model. 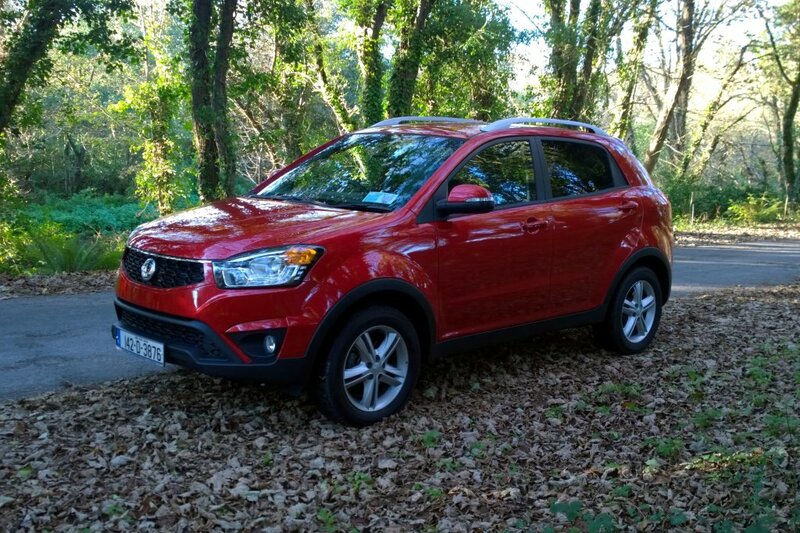 I like the SsangYong Korando – both the outgoing and new models. In a gorgeous Sunrise Red colour, the new Korando is a neat looking compact SUV. 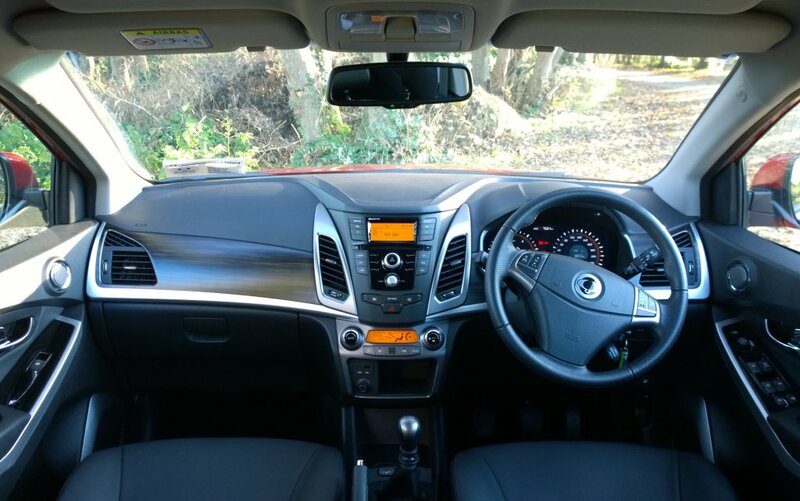 Among the facelifts SsangYong has given the Korando is an interior upgrade – and it’s a success. The leather interior with faux wood panelling works better than in the SsangYong Rexton W and the heated front seats in the ES trim test car were a welcome luxury in a chilly winter’s day. The centre console is also quite stylish looking, with infotainment via Radio, CD and Bluetooth. The USB and 12 volt sockets were well placed in the centre console. There’s also nice storage space at the bottom. 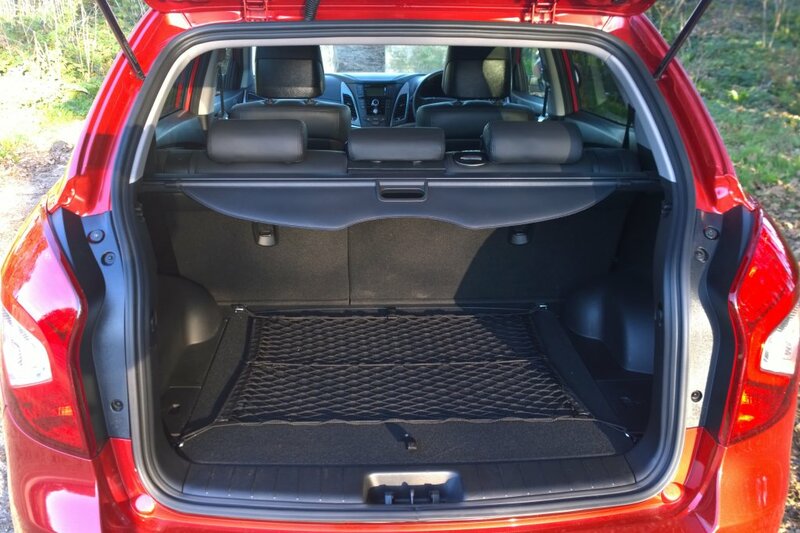 Both leg- and headroom are decent in the spacious cabin and the boot is very generous. 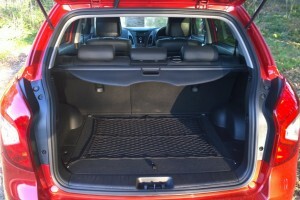 The rear seats also fold to give a large flat cargo space. With no transmission tunnel, three adults would be comfortable in the back. While the SsangYong Korando is a beautiful looking car, it’s not really a ‘driver’s car’. The new Korando is powered by the same 2.0-litre 149ps diesel engine found in the previous model. This used to be quite noisy, but soundproofing has been improved in the facelift. We took our six-speed manual test car through a range of driving conditions, including city, mountain, motorway and winding country road. It drives well, but there’s nothing exciting about it. I found that it handled well in the city, was decent enough at the lights and motorway acceleration was good. Cruise control, which is standard on the Korando, made it a pleasant motorway cruiser. There was a bit of body roll on the corners, but nothing to worry about. Overall, I liked the SsangYong Korando. It’s a practical, spacious family car that will more than meet most families’ needs. The SsangYong Korando is available now, with prices starting from €25,995 for the ES Standard model. Prices for the top of range EL Deluxe 2WD model I was driving start from €29,495. A 4WD model is also available. Visit the SsangYong Ireland website or its Facebook page for further details.